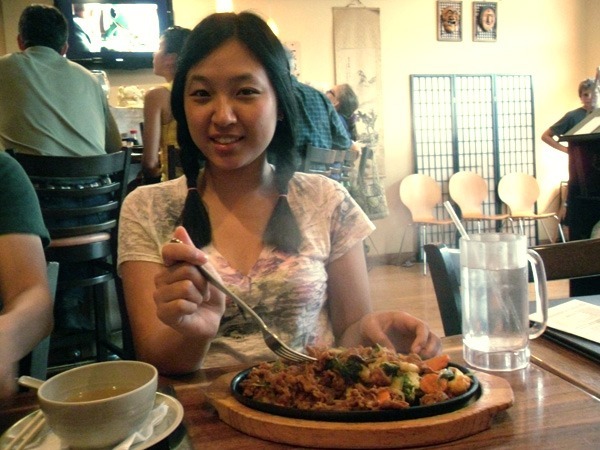 Su-jin and her Spicy Pork Bulgogi. 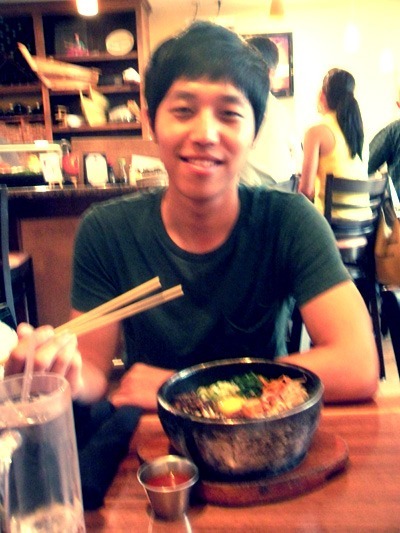 You can choose the spiciness levels and her entree was even manageable for me, and I am very sensitive to spicy foods. 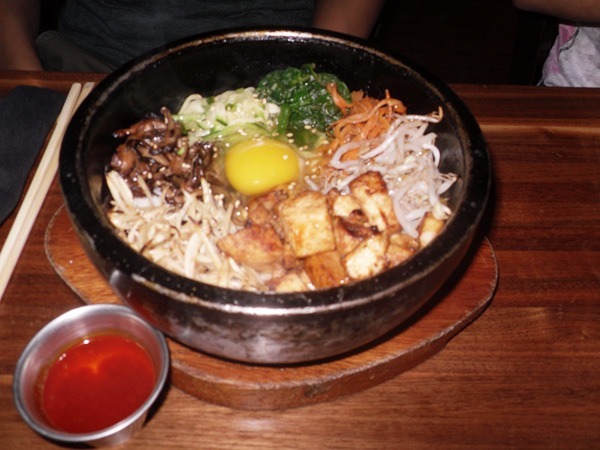 Yonghoon ordered the Hot Stone Pot, it looked fantastic. 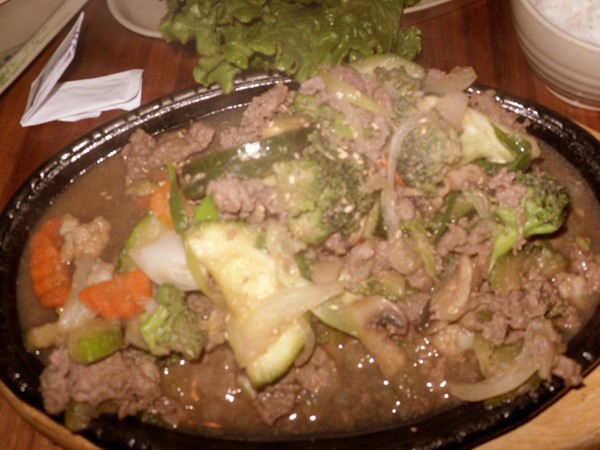 Here is a clear picture of his Hot Stone Pot. 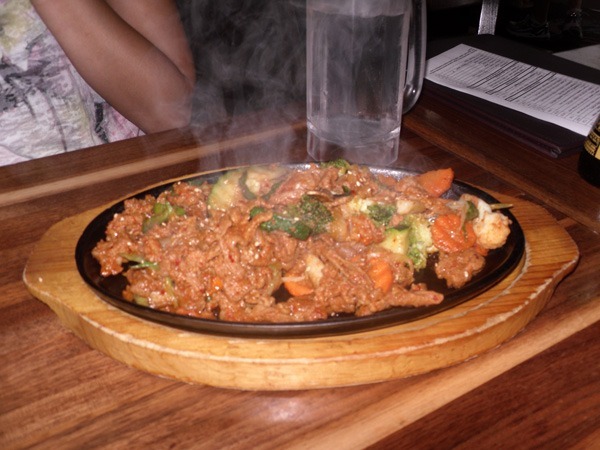 It was sizzling. 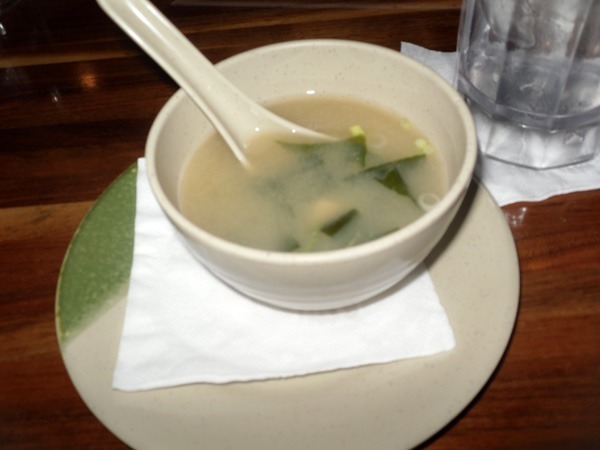 The Miso Soup was appetizing, the tofu was probably some of the best I have had with their soup. 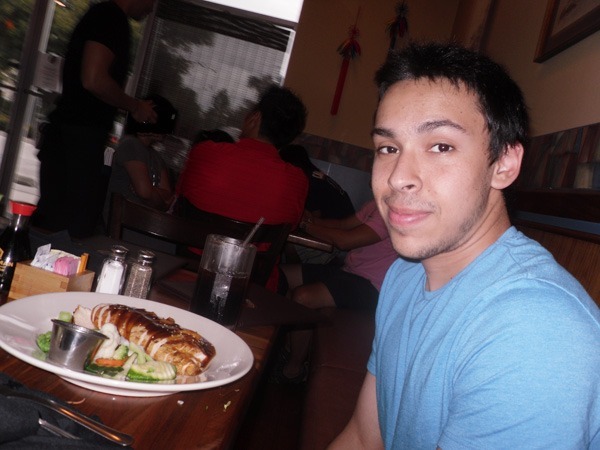 My friend Hamza ordered their Bourbon Chicken. Looked pretty good. 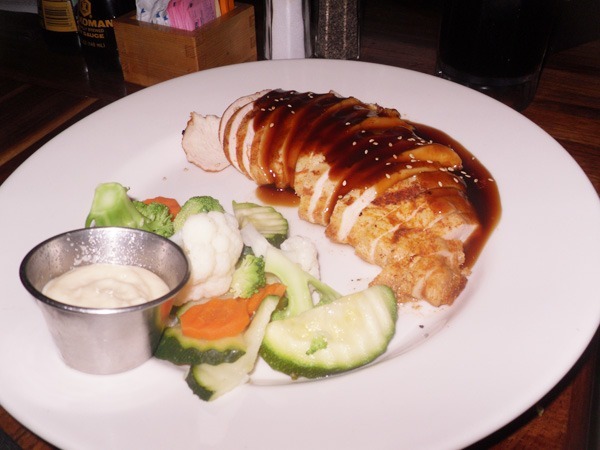 A clearer view of the Bourbon Chicken. 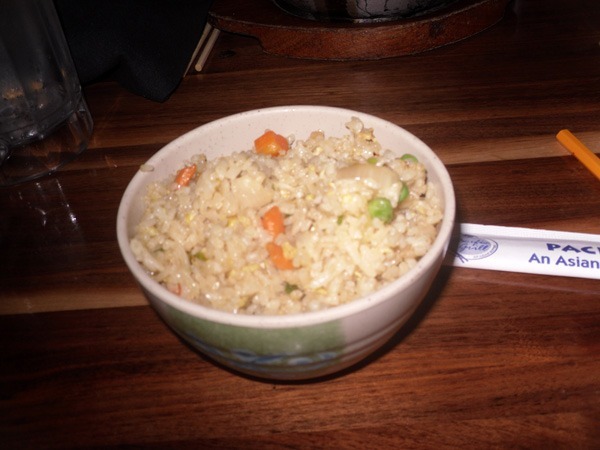 A photo of their fried rice. 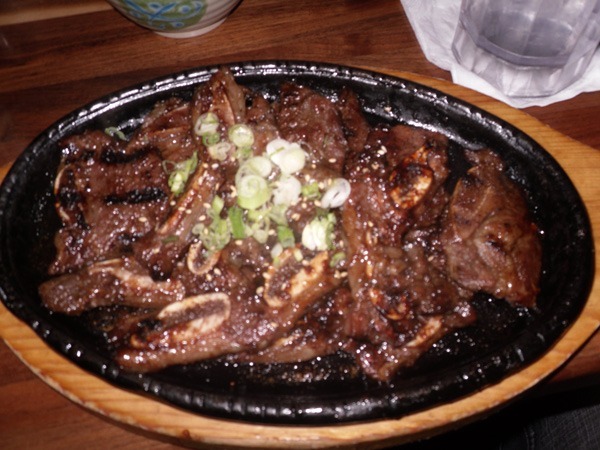 The Galbi was superb and affordable! 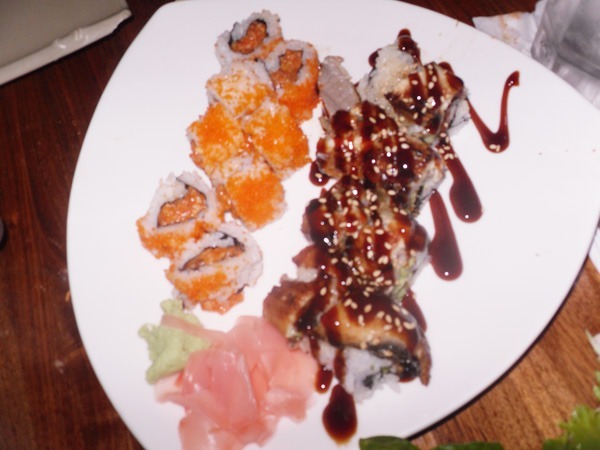 A photo of some of my friends sushi.